Yes, it's very difficult to determine what actually has changed to the game as opposed to determine that there was a change. Of course there are mods that don't affect gameplay like all kind of historical skins and voices, some do have a small impact like module skins and some that directly affect players like aimbots and other stuff one can think of. How to discern between a historical skin and a module one automatically is quite difficult and not feasible to implement but they can enforce the rule that no changes to the client are allowed much easier. So in conclusion this is the only way to go actually. How is it cheating if this is a feature of the original platform? This is Wargaming doing stuff and they should fix it. 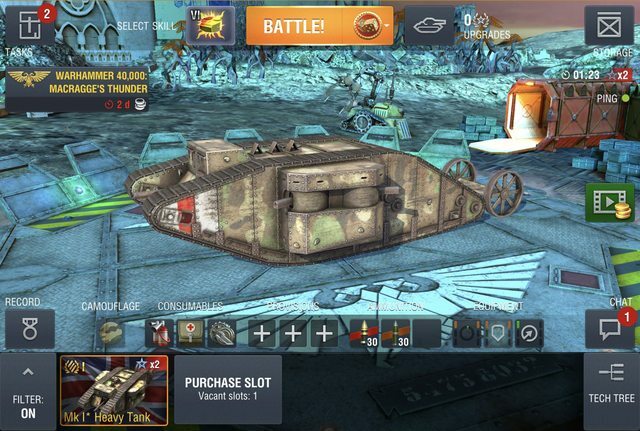 Wotb PC is not the original platform, the original platform is wotb iOS. now they make the game different and easier for PC. It’s like they give me 0.6 accuracy and enemy 0.3 because I play with touch and they play with KBM. So just to be clear i am posting here what mods i use and then you guys tell me if this can be considered cheating. I use mostly this site ( http://tanksmods.com if im looking for a mod. Be advised there are tank skin mods who show modules locations and those are not allowed. You cant be serious wanting a ban for players who use such mods - those are only for enhancing the players enjoyment of the game. I hope this clears out things a bit. Edited by Acids_Burn, 04 November 2017 - 12:10 PM. Risk with mods vs time you used on Blitz, profit? None. Better just play vanilla. Well i blame WG a bit because if they had a sense for market they would open a shop from inside the game where you could install these safely. and contrarily to some other opinions, This process and implementation and curation does cost money, I don’t see why it should necessarily be free, though it could. for once, we are in agreement. if wg has to spend a single manhour investigating wether a mod is acceptable or not, id rather they spent that hour making the game better. Or writing a few non-bot replies to tickets. Or... and this may be controversial... making more skins themselves, instead of having modders do it! Simply sign the mods/files with modder's key and in game only accept mods/files signed by approved key. If the modder fails (makes non fair mod) disable that key. Win-Win. If they are to disable mods, i can imagine they will have to run checksum or crc on the resource files and compare to crc in game/provided via network, so adding check for modders' signatures doesn't add too much of additional work as this is something they'll spend time on anyways. Edited by b48g55m, 05 November 2017 - 09:36 AM. I’ve come up against tanks I can’t hit to the glitch were I’m unable to move and the impossible shot thru building or hills . its frustrating especially if your having a good game . ive looked at there accounts and does any body have the world war 1 tank in there garage ? We were all given a ww1 tank a good while ago but when event ended they were taken back. Event tank that was available for a day to celebrate the first time a tank was used in battle. i can except a bad game but you know your selfs when things aren’t right so next time check the account and look for the World War One tank . ps. Mine is still equipping ?